Run by our good friends the Scheiber family, the Edelweiss and Gurgl is one of Obergurgl’s leading hotels and has long been a favourite with our guests due to its high standards of comfort and service. Centrally located in the heart of the village, the hotel offers a warm welcome and a full programme of guided walks and activities. Family rooms have bath, lounge area and north-facing balcony. Spacious two room suites have bath, lounge area and north-facing balcony. All rooms have flat screen digital TV with BBC1, BBC2 & BBC World News, radio, telephone, safe, bathrobes, slippers and hairdryer. Weekly gala dinner, barbecue or farmers’ buffet. 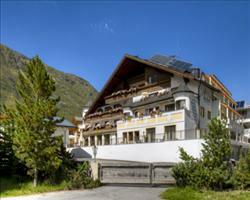 We update Hotel Edelweiss & Gurgl's details often, but facilities do change. e.g. some extras listed by the supplier as "free" or included might only be for the first time you use them, or for one time per party, then charged for further use. If any specific feature is essential to your holiday, make sure you ask us to confirm the details of it before you book your holiday. 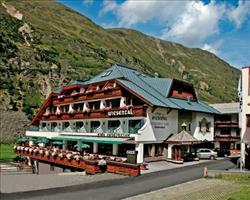 Hotel Wiesental Obergurgl Austria, Dover Ferry 24th August. Hotel Alpenland Obergurgl Austria, Dover Ferry 17th August. 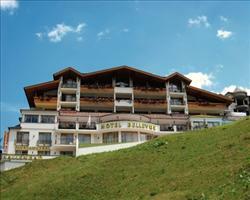 Hotel Bellevue Obergurgl Austria, Dover Ferry 6th July.